The fight isn’t over yet. The details laid out here should infuriate every American who believes in a fair, just system. It should anger taxpaying citizens of Illinois as well, though as Election Day results show, the anger never lasts long. Here is the basic outline of what we have gone through, including many things you may have not heard. First, we turned in 42,986 signatures to the State Board of Elections on the morning of Monday, June 23rd, several hours before the Green Party or Constitution Party would deliver theirs. Political Division Director Lex Green handled the paperwork while I took some photos of the four candidates who joined us; Julie Fox for Comptroller, Sharon Hansen for US Senate, AJ Cummings for Lt. Governor and Chad Grimm for Governor. Afterwards, we met up with candidates Ben Koyl for Attorney General and Matt Skopek for Treasurer at the capitol building in Springfield for more photo taking and a press conference. We knew that our petitions would get challenged by gutless Republicans terrified of competition on the ballot, and we wanted to bring that out in our press conference in advance. The challenge came. Two Republican supporters requested copies of our petitions from the State Board of Elections and quickly had teams of hired interns go through them with a fine tooth comb, scouring them to find as many address errors and messy signatures as they could find. They challenged 23,667 of our signatures. What followed were 7 full days (many of them ten hours in length) at the State Board of Elections in Springfield, defending signatures in a line by line defense. Libertarian volunteers came from all corners of the state – even some from across our state borders – to help us defend those signatures. The Republicans were busing in young interns and students to challenge us. Most of these kids were decent people who had no idea just what they were doing there. Having been prompted by their bosses about us being fraudsters who wanted to steal an election from Mr. Rauner, we talked with them, made friends and eventually opened their eyes to who we really were. Many even admitted to being very libertarian in their philosophy. After the first hour or so, the majority of them stopped fighting our signatures, and most even began helping us track down a few. We won them over by being honest and real. Of course there were a few of the dedicated, angry type who tirelessly worked to eliminate our signatures – we watched on as they berated the younger interns for not being tough enough. In the end, we were successful. They eliminated 12,789 of the signatures we had – but that left us with 30,197 signatures – more than enough to qualify for ballot access… but it didn’t stop there. Usually, this is where the process ends. The Republicans have a millionaire candidate with a lot of money to spend to win this election. This is when things began to get ugly. DuPage Libertarian member Warren Bent brought to our attention a visit he had from a young Republican intern who came to the front door of his home on a Sunday. The young man was carrying copies of the petitions with him, and he tried to convince Warren that he had been defrauded on a petition. Obviously, this person had no idea that he was speaking to a member of the Libertarian Party. Warren declared that he did indeed sign that petition, and then began to ask questions of this kid that made him uncomfortable enough to scamper away and drive off in his car. That’s right. The Republicans were going door to door to confront people about their signatures and intimidate them into backing down from those signatures. They even brought affidavits and got a few people to sign them, claiming that they did not remember ever signing our petitions (did they have notaries running around with them at the time?) and wanted it legally stated so. Because the Republicans weren’t able to eliminate enough signatures in the line-by-line verification process, their new tactic was to discredit petitioners themselves in hopes of getting entire groups of our signatures thrown off at once. These affidavits turned up at the State Board of Elections in front of a hearing officer. One was against me, which I personally testified against. A woman claimed she couldn’t remember me, after being confronted by someone at her door with a photo of me! For those of you who have never personally met me… I am not the kind of guy you easily forget. I even made this joke while testifying, eliciting many laughs from everyone in the room, and did exceptionally well defending my standing as good, honest petitioner. In her report, the Hearing Officer stated that “the Objectors fail to meet their burden of proof in demonstrating any of their objections with regard to Mr. Lambrecht” and found “Mr. Lambrecht’s testimony credible and therefore recommend that the objection regarding Mr. Lambrecht’s petition sheets be overruled.” Damn straight. The Republicans initially issued subpoenas against some of our biggest petitioners, but neglected to call any of them to the stand on the first day. Our lawyers, however, still brought one of them up – a girl who claimed that over the last several weeks, she had been confronted by an armed private investigator multiple times, who had made her “frightened” each time. This girl, who was our second biggest signature collector in the state, was scared – but not scared enough. She knew the work she did was honest and legal and she refused to give in, so she testified on our behalf about the confrontations with the private investigator. That testimony helped our case.. This is what we are up against – and yet still, almost two months after turning in our signatures, we don’t have a definite answer on our ballot access. In the end, our total of 42,986 signatures had been beaten and whittled down to 25,989 at the final count. 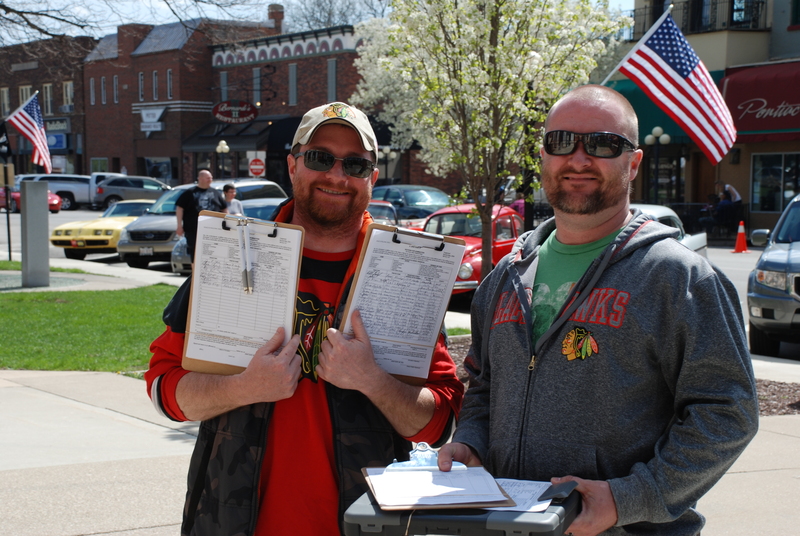 And as you can see, we survived by barely a thousand signatures – which is why every person reading this who helped collect signatures is owed a debt of thanks from the Libertarian Party of Illinois and our candidates for your hard work – because as we’ve always said, EVERY SIGNATURE COUNTS. This still isn’t over, but it is very close to being over, and things are looking very good for us. Of course, we are Libertarians and this is Illinois, where anything can happen. Regardless, a victory is a victory. We came under intense scrutiny from a major party headed by a wealthy candidate who had endless resources to throw everything they could at us, and we lasted through it. Some of the young Republican interns bragged about how great and important it was for them to be working with Mr. Rauner’s campaign. I responded by asking them, “why?” What is honorable or worth bragging about when you are one of thousands of workers in a campaign with millions of dollars? 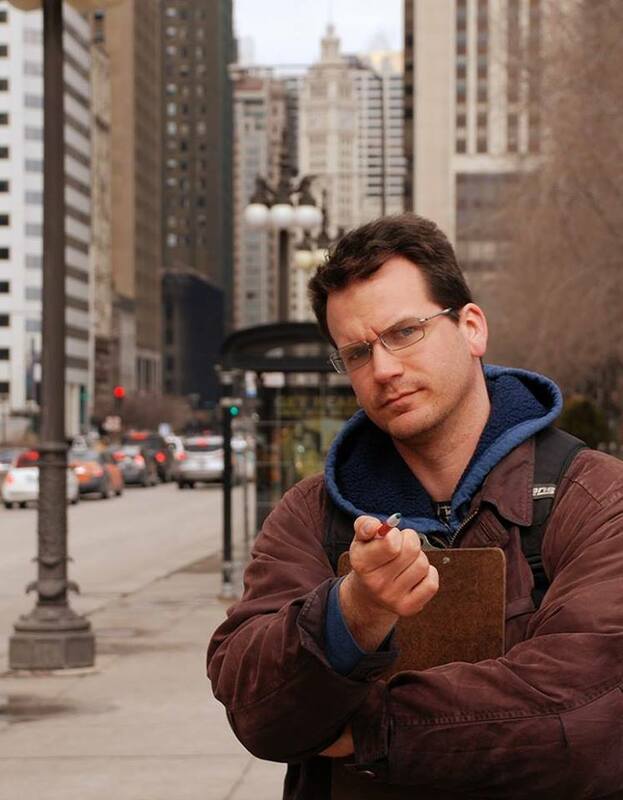 I would think it more honorable to be defending the people who are NOT millionaires, who are not entrenched politicians – to be with the few hundred people with little to no money on our side who put up a defense against one of the hardest fought election battles in Illinois history – a battle most people will never read about – and come out victorious. We still must wait for the actual board of directors – four Republicans and four Democrats – to vote on whether we will be printed on the ballots, but having the Hearing Officer rule in our favor will be very helpful. That vote should take place next week on Friday, August 22nd. This entry was posted in activism, Events, libertarian, Libertarian Party, Politics. Bookmark the permalink.